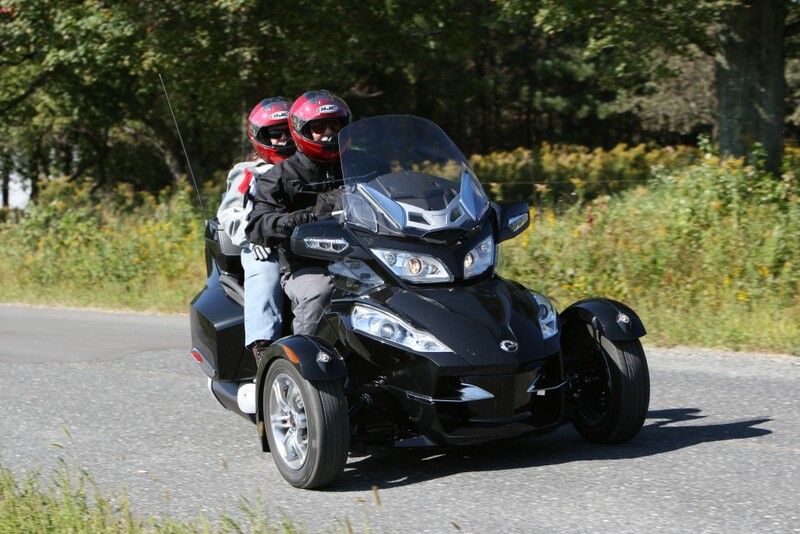 On Saturday, November 14, 2015, Cherrie and I officially commemorated our 250,000th mile ridden on a Can-Am Spyder. 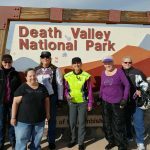 Technically we passed this milestone about a month before, but as we wanted to photograph this on Old Route 66 out in the Mojave Desert, and the temperatures were still into triple digits there in October, we opted to wait until things cooled down a bit. 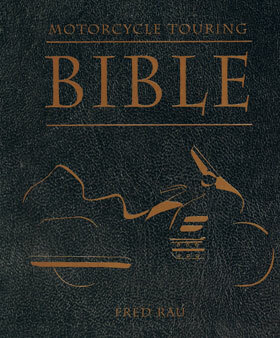 Besides, what’s a few hundred miles between friends? 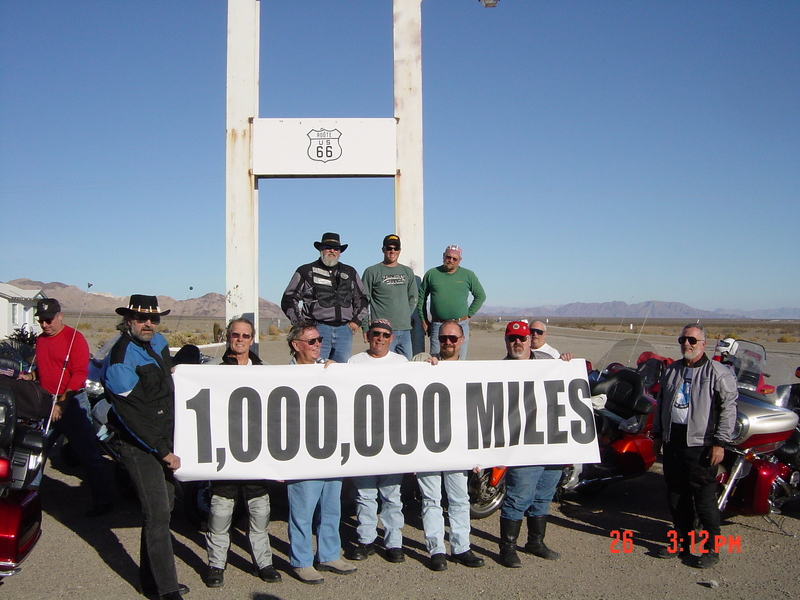 The site we chose was Roy’s of Amboy, an original tourist stop on Route 66, both because of it’s historical significance, and because 12 years ago this was where I did a banner ride-through to mark my one-millionth motorcycle mile for the AMA. Both events were chronicled by my old friend Mike Douglas. 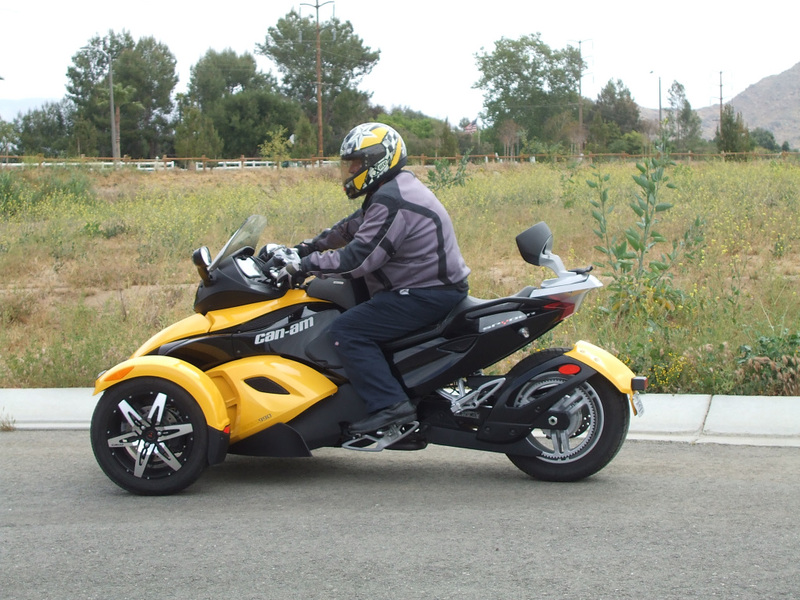 Mike and I rode Gold Wings together for many years, and just recently I managed to convert him to a Spyder rider. 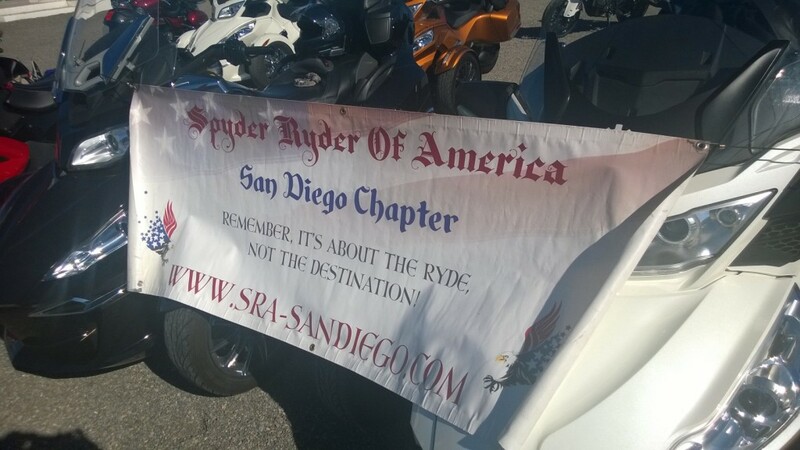 Also along on this trek were about a dozen of my friends from the San Diego Chapter of Spyder Ryder Of America, including the newly-appointed National Director for SRA, George Parry! And I would be remiss not to note that some of these photos were also taken by another SRA member, Marc New, who did a really terrific job. Many thanks to them all. 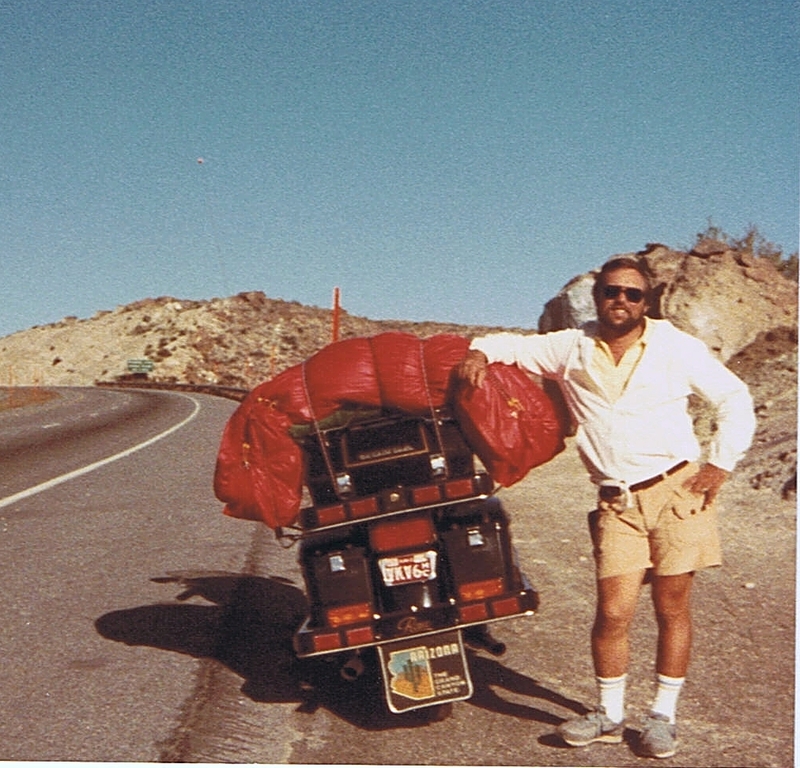 For those wondering, at this point our two-wheeled and three-wheeled miles combined are 1,654,217 — accumulated since 1971, or 44 years ago. That’s an average of approximately 37,600 miles per year. 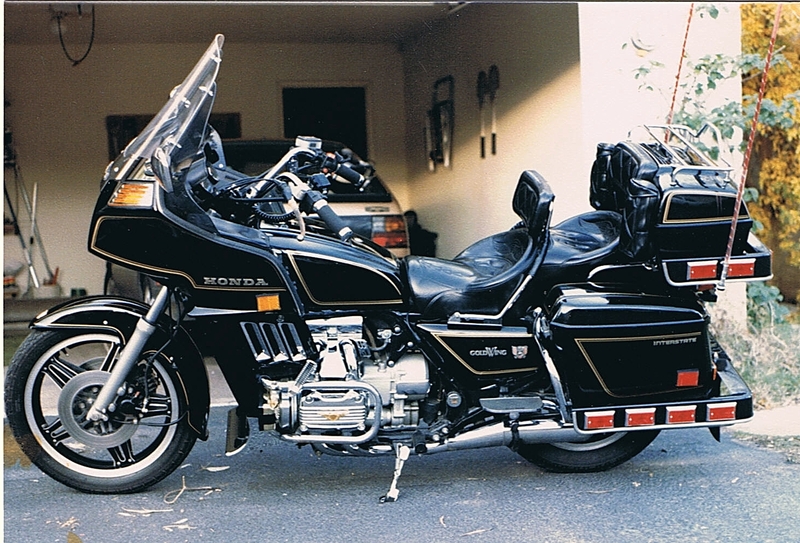 Obviously, there is no way to be exactly certain of the total, but as the majority of my life has been spent in the motorcycle industry, I have pretty good records of each bike and the miles put on it, if for no other reason than my taxes. 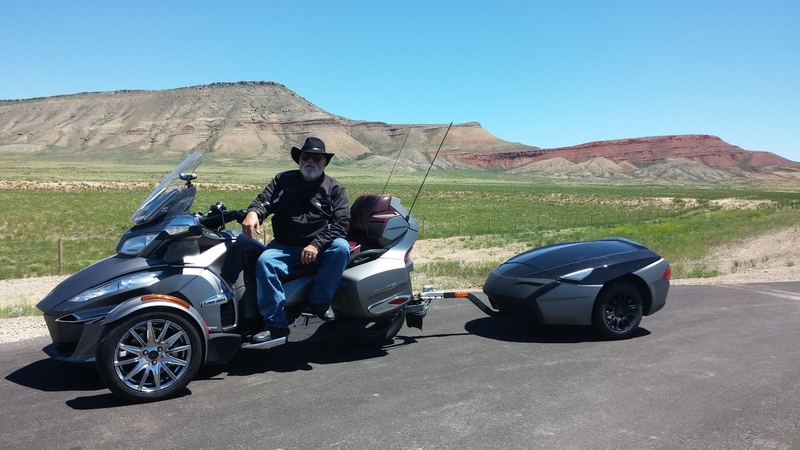 Every gallon of gas, quart of oil and tire has been deductible! 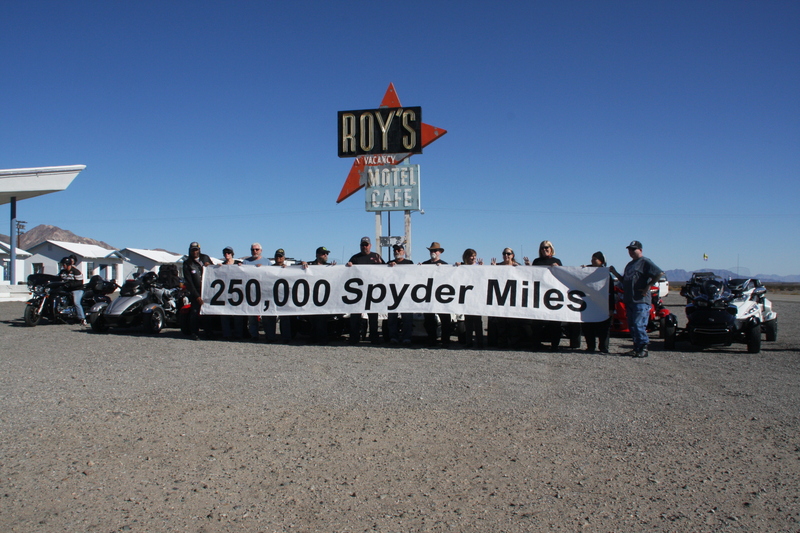 The motorcycle miles were accumulated on a total of nearly 200 bikes, and the Spyder miles on eight different Spyders. Now, as long as the money holds out for tires and gas, we are on our way to break the half-million-mile mark on Spyders, which will put us within shouting distance of a Grand Total Two Million Miles. And we ain’t finished yet! 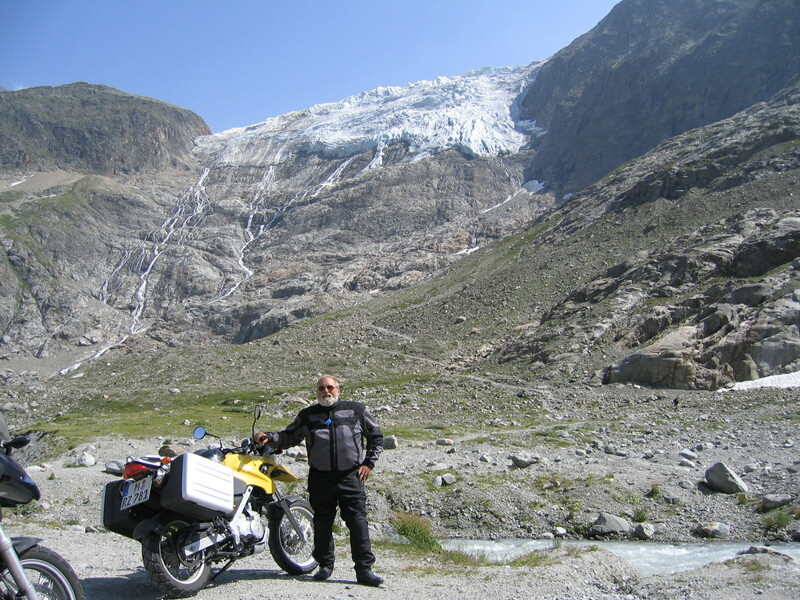 But if you ever wondered how it all started, I blame the guy in this picture below. 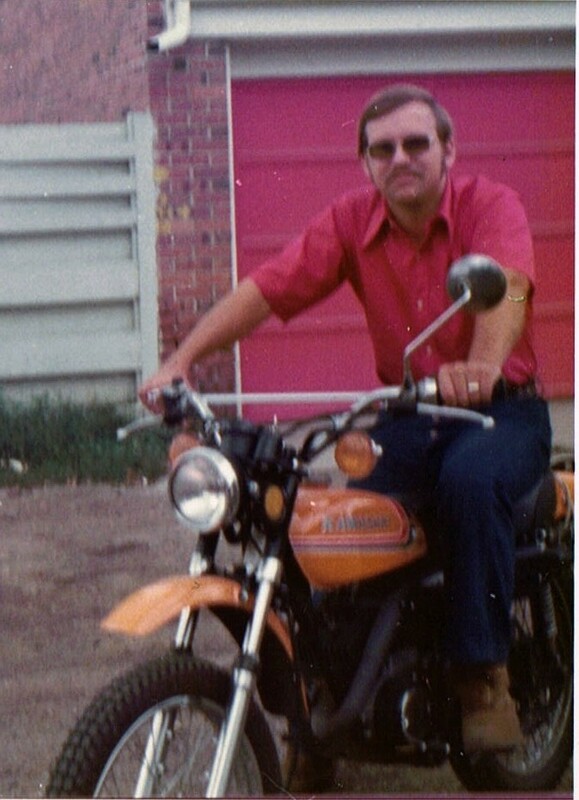 That’s Fred Rau Sr., my Grandfather and the man I’m named for. 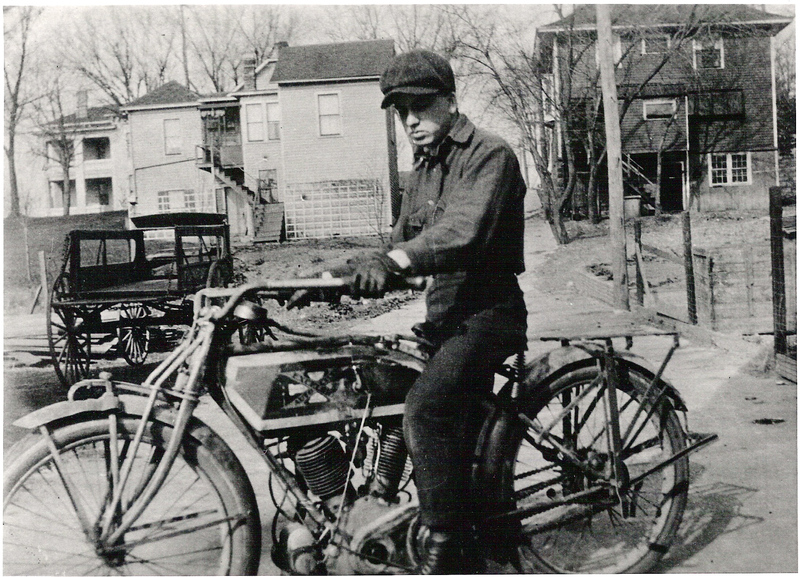 The photo was taken in 1917, with Grandpa astride his 1914 Excelsior Super Ace, at the time the fastest stock motorcycle in the world. 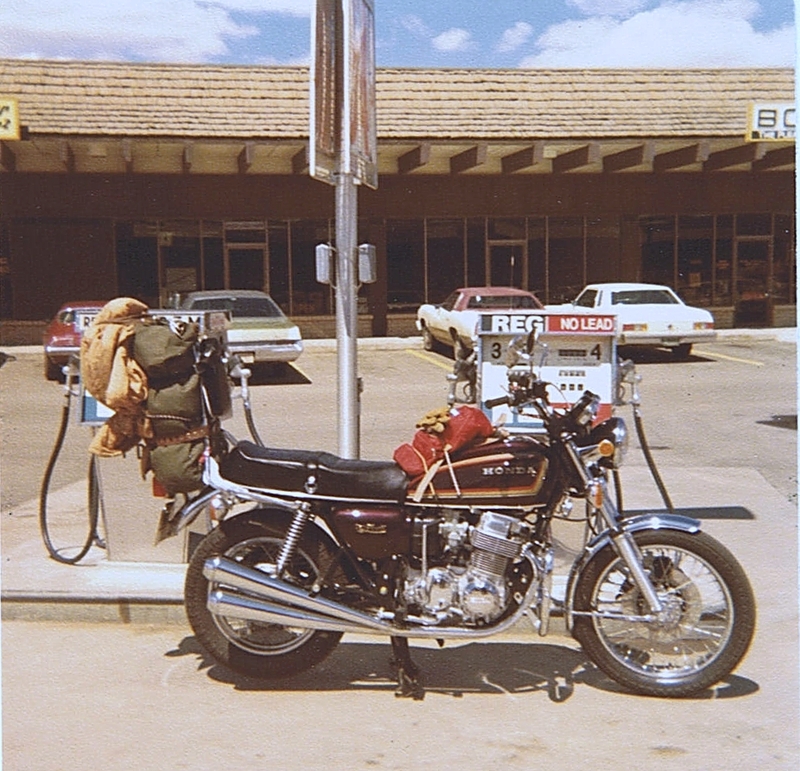 Grandpa rode this bike from his home in Atchison, Kansas, to California and back, before there was such a thing as paved roads. I’ve lived my life trying to catch up with him, and even though I know I never will, it’s fun to try. I think Grandpa would understand. Congratulations Fred & Cherrie. We were happy to be able to celebrate the milestone with you. Great news. 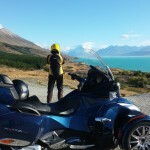 One of our guys here in NZ has just done 100,000 kms and I should do that by March next year. All the best. 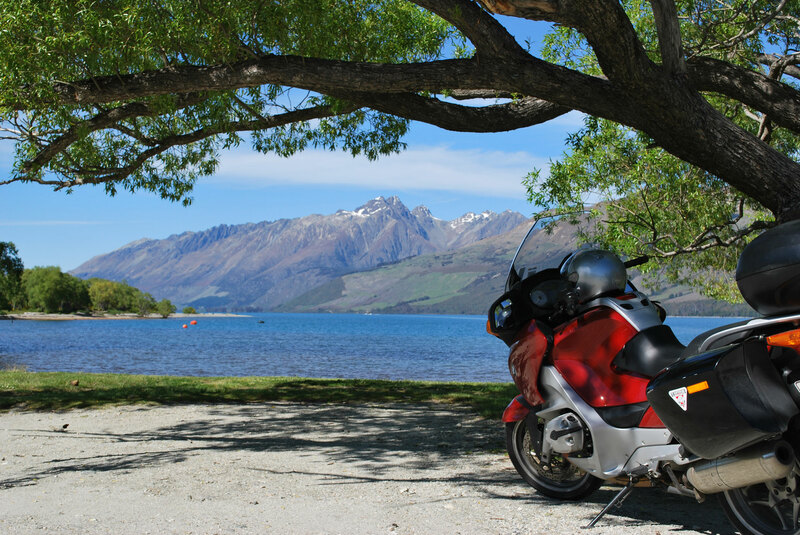 I will be in New Zealand from February 14 to March 3, leading a tour group. Also going to the BEARS racing weekend in Christchurch.